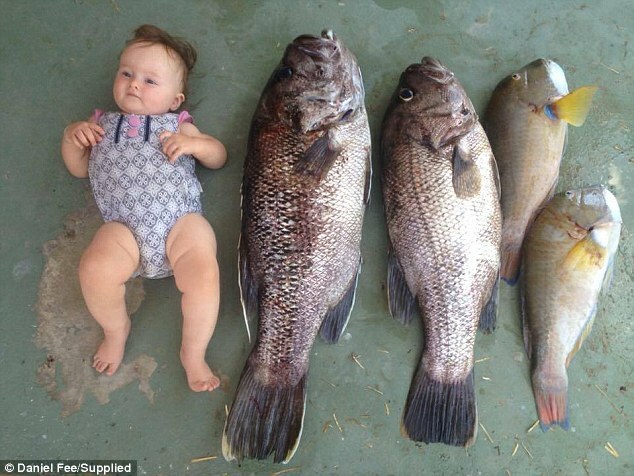 In Australia two fishermen showed off their catches by placing them next to their newborn babies and comparing them. It seems they did this to show just how large their catches were – or perhaps how small the infants were! The fishermen were diving in a secret spot – which they would not reveal – when they caught the two crayfish weighing over 3.5 kg each. “It was honestly the biggest crayfish I had ever seen and caught and I’ve been diving for just over 10 years,” Mr Fryer said. 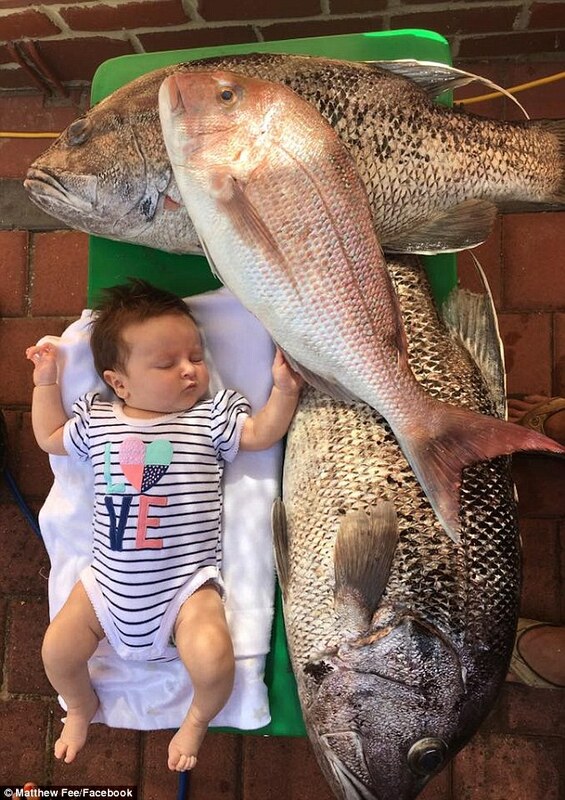 “The two Dhufish were 11 and 13 kilograms… Brooklyn weighs 4.5 kilograms,” Mr Fee said. 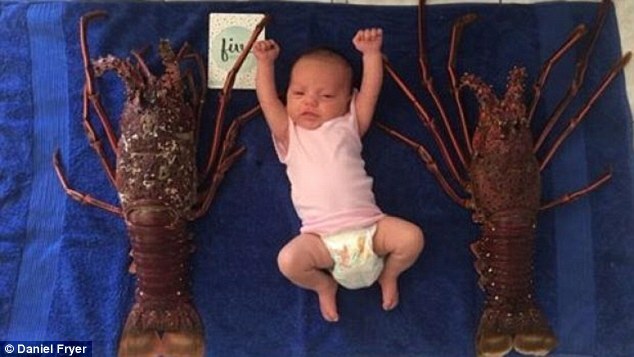 This was not the first time he had compared his daughter to his catch as he has pictures taken from the last time. He shared his photos on social media, saying that these were not the largest fish he had caught. When asked why they compared the fish to their daughters, one of them said that it was better than using beer cans to compare them.